- Max Scherzer's pitch count (63) is way too high after three innings. He's just walked too many hitters. But I really like his approach tonight. The Twins keep looking for his changeup and he keeps pumping his fastball by them. Scherzer has a very good heater tonight. Obviously, he has proven his durability this season. He's still got such velocity after more than 200 innings worked. We'll see what he has left for the postseason. He is definitely the Tigers' ace at this point. There should be no question he opens the postseason. 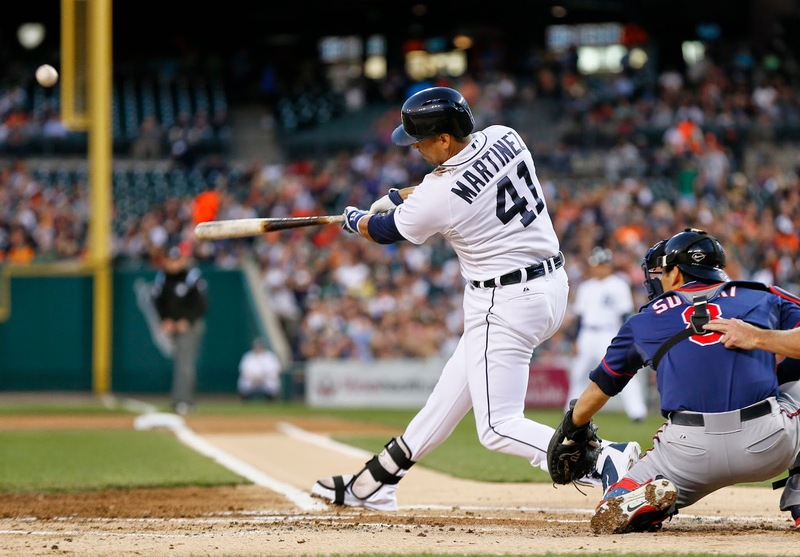 - Victor Martinez, period, has played a huge role for the Tigers offensively. But it's been especially true of what he has been able to accomplish from the left side of the plate. He IS the Tigers' left-handed power. And he has seldom disappointed in that capacity. Another bomb tonight.